Carolyn Borthwick has been appointed office administrator at the newly refurbished Ednaston Park managed workspace scheme, located between Derby and Ashbourne. Carolyn will be working alongside business centre manager Lucy Delaney to ensure the smooth-running of the business centre, which is located on the A52 in Ednaston. In her new role, she will provide a professional and highly organised service to tenants and visitors. She will also be responsible for the delivery of Ednaston Park’s concierge service, which will involve handling bookings for meeting and seminar rooms, arranging courier services and catering, overseeing the building’s social spaces and break-out areas and organising networking events. Carolyn has extensive experience in sales and sale and marketing roles and has worked in senior administrative positions all over the country. She has also worked across a range of sectors including healthcare, IT and catering. 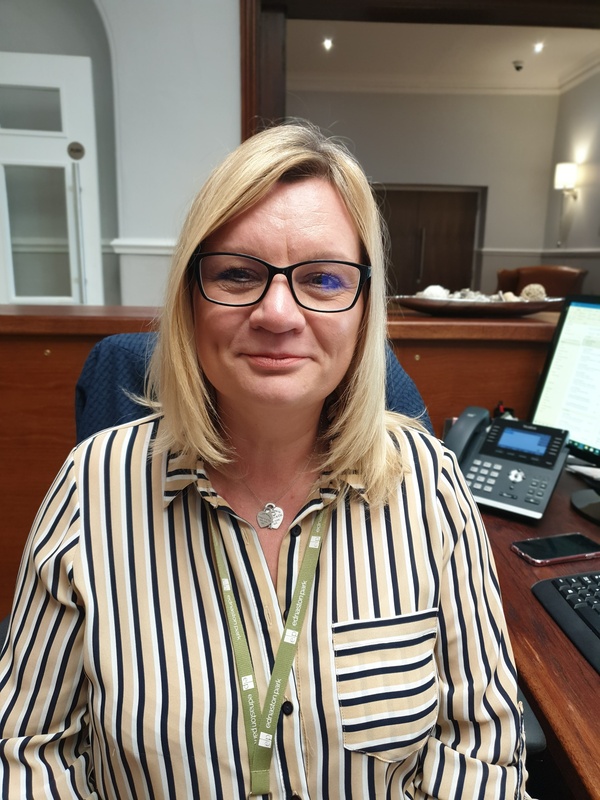 “We’re thrilled to welcome Carolyn to the team; her previous experience in senior admin roles is set to prove invaluable to us in the day-to-day running of Ednaston Park. “I’m really excited to take on this new role at Ednaston. The building has been beautifully refurbished, and it will be a real pleasure to work in this wonderful environment. Situated off the A52 between Derby and Ashbourne in 18 acres of picturesque landscaped gardens, Ednaston Park is a magniﬁcent period property dating back to the 19th Century. Developer CWC Group purchased the property in September 2017 and carried out a sympathetic refurbishment programme to create 20,000 ft2 of flexible commercial space. This takes the form of 32 individual hi-spec serviced offices ranging in size from 54 ft2 to 526 ft2, which are available as single or multi-office lets. Offices at Ednaston Park are suitable for micro and small-to-medium sized enterprises and for larger organisations looking for a prestigious headquarters office location. Many of the original period features were retained during the refurbishment programme, including fireplaces, architectural coving and cornicing and sash windows. Stained glass from the Chapel windows was saved and can now be seen along the corridors of the business centre. In contrast to its heritage, Ednaston Park boasts state-of-the-art security with Paxton key fob entry and intruder alarms in every office. Ednaston Park is managed by CWC Group, who relocated their headquarters from Brailsford Hall to Ednaston Park in 2018.